Most people are unaware that a lack of vitamin D has substantially increased within our society - to epidemic levels. This deficiency contributes to ailments and diseases such as rickets in children, bone disorders, muscle pain and weakness, cancer (especially skin cancer), high blood pressure, immune system disorders, multiple sclerosis, and diabetes - just to name a few. Vitamin D is crucial for proper thyroid function and maintenance along with calcium absorption. A healthy thyroid is what keeps your body temperature within a healthy range which in turn allows the body to activate enzymes and function properly. Calcium absorption is imperative to our bodies development from the healthy growth of muscles to organs; to an extent. When calcium reaches levels of excess to offset acidity it is severely damaging as a free radical causing the clogging of the arteries and muscle tissue. When sunlight is absorbed through the skin, it begins a chemical process by converting prohormone that forms vitamin D from which it gets its name “the sunshine drug”. During this process, a type of cholesterol called 7-DHC (dehydrocholesterol), absorbs the UVB radiation and creates cholecalciferol, which is the previtamin form of vitamin D3. 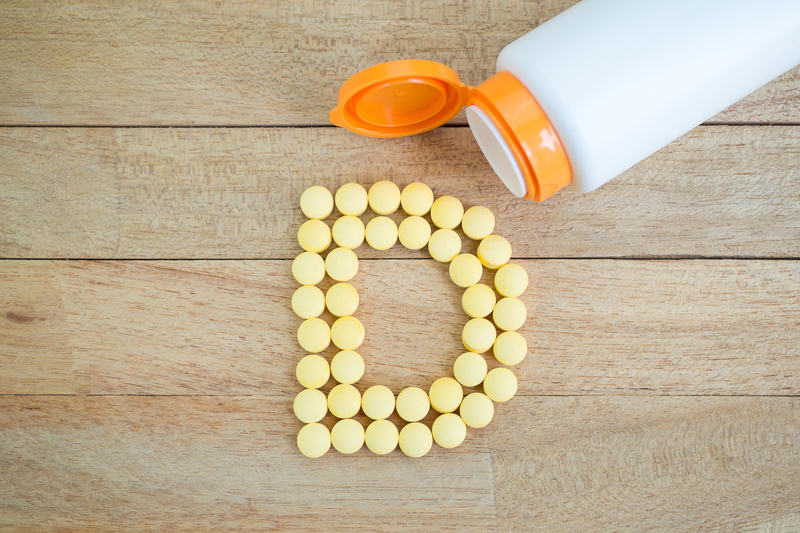 It then begins to travel throughout your body, starting with you liver where it begins to metabolite and form hydroxyvitamin D. As it travels to the kidneys it finally converts to dihydroxyvitamin, this is the form of vitamin D your body can use. Your body is an amazing machine, isn’t it? As stated in our previous series of postings in relation to Fungal Infections, without proper digestion of fats; we are not making the proper amount of good cholesterol that the body needs to process the sunlight into vitamin D. This can lead to a deficiency in vitamin D making the body unable to absorb and distribute calcium properly and in turn causing other areas of the body of malfunction, such as one of our vital organs, the kidneys. Ticinesi A, et al. Idiopathic Calcium Nephrolithiasis and Hypovitaminosis D: A Case-control Study. Urology. 2016 Jan;87:40-5. Wang, Hanmin, et al. “Vitamin D and Chronic Diseases.” Aging and Disease, JKL International LLC, May 2017, www.ncbi.nlm.nih.gov/pmc/articles/PMC5440113/. *These statements have not been evaluated by the FDA (USA). This product is not intended to diagnose, treat, cure, or prevent any disease. You should carefully read all product packaging and labels. If you have or suspect that you have a medical problem, promptly contact your medical professional.